Gothenburg, located on the Swedish West Coast, is the main hub for Fish- and Seafood in Sweden. The city is also home to the biggest fish auction in the country (e.g. almost all fish sold in the Stockholm restaurants are bought on this auction) and virtually all fish coming from Norway (for the Swedish market) is sold here. Restaurant Fiskekrogen translates to the “Fish tavern” but it’s a pretty formal restaurant rather than a tavern. As the name indicates it’s a place specializing in Fish- and Seafood and its motto is “the best the sea has to offer”. The historic property where Fiskekrogen is located dates back to the middle of the 17th century. The place has been a restaurant since 1929 and has had the name Fiskekrogen since 1972. HOZE (nickname of José Cerdá but also the name of his restaurant) on the other hand is the new kid on the block and is running his Neo-Japanese fish- and sushi restaurant in another part of the city since a couple of years back. 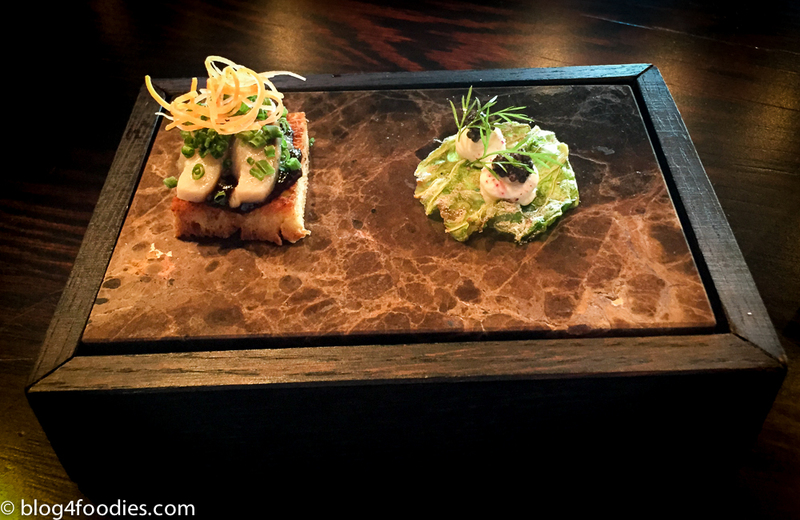 Hoze embodies a style of dining where fish- and seafood from the Scandinavian coast meets Japanese cooking traditions. HOZE practice the Edomae sushi style using fish- and seafood from the Scandinavian waters. 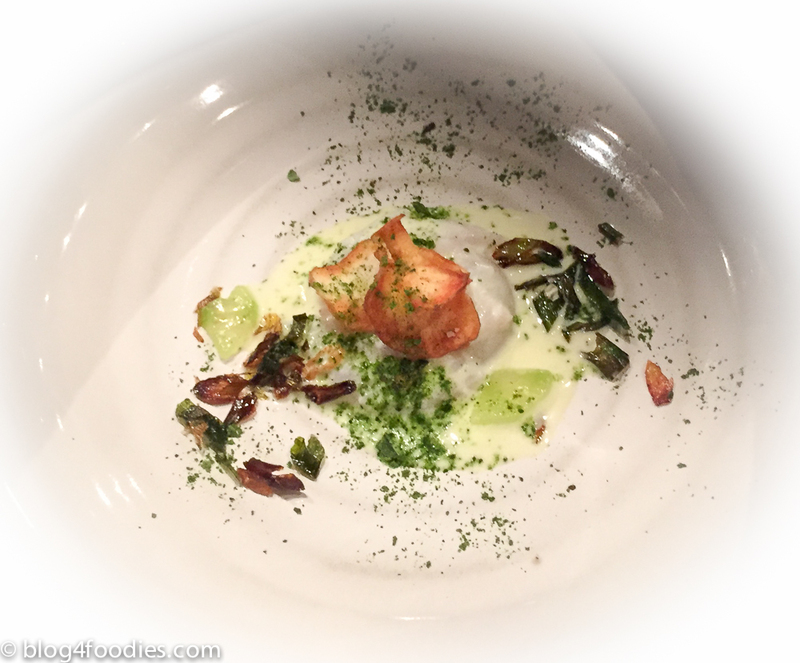 Restaurant Bifångst (which translates to by-catch in English), which this post is about, is a collaboration between Fiskekrogen and Hoze. Bifångst is located in the middle of restaurant Fiskekrogen, so it’s a restaurant in the restaurant. 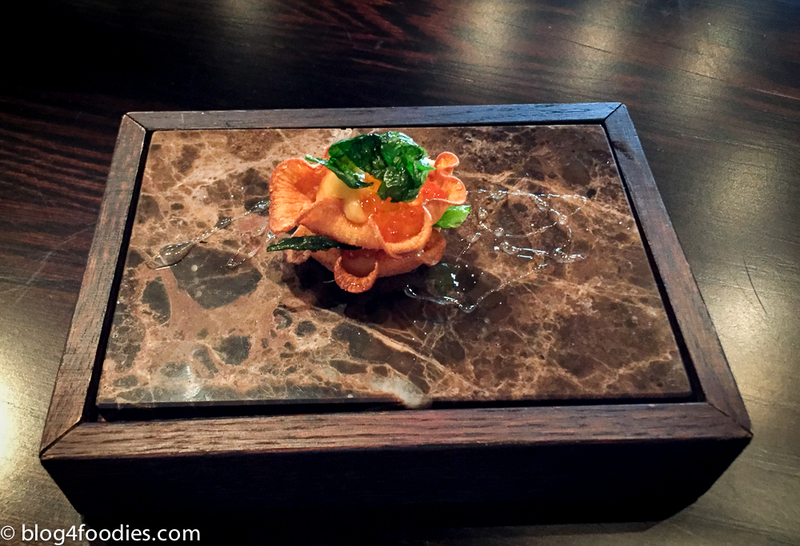 A small one with about eight dishes for 595 SEK. The dinner started with two small nibbles. First a nip of Savoy cabbage with caviar and then a small bite of Klova herring on a brioche with a black pepper crème and some bits of reindeer. A good start! 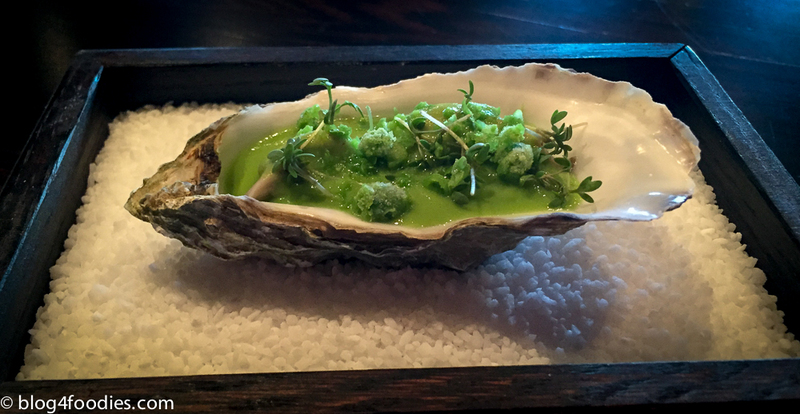 Oyster (prepared at 62 C) with a purée of peas topped with some kind of granité. I liked it but I would say that this dish was “Oysters for beginners” though the peas dominated this dish and you could hardly sense the oyster taste. 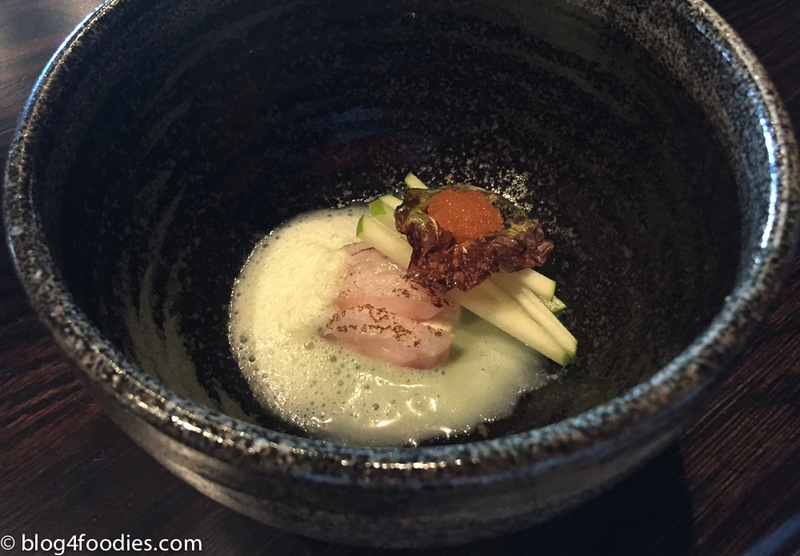 A pleasant dish consisting of rose fish (Sebastes norvegicus), trout roe and scallion that got its tartness from a juice of Granny Smith apples. Swedish turnip with some kind of roe and cream. 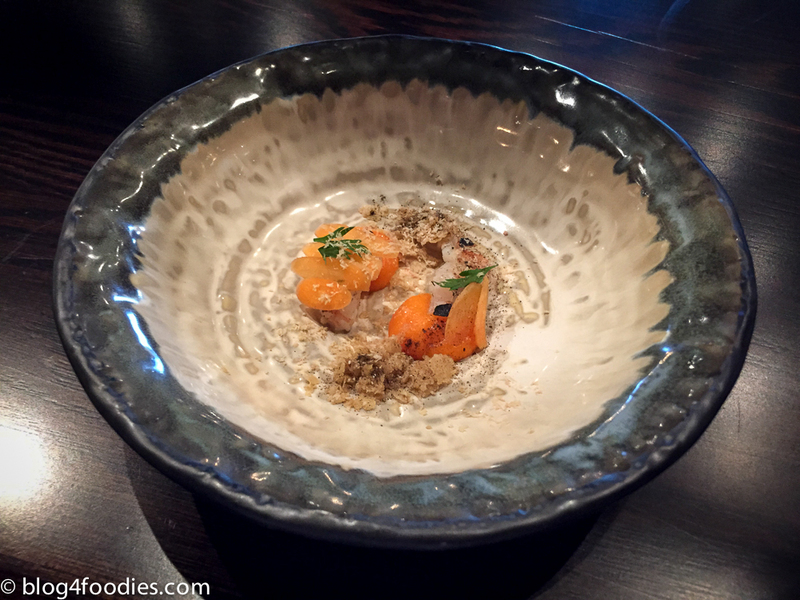 Norwegian lobster with a powder of burnt lobster shells and chips on Foie Gras and oats. Good! 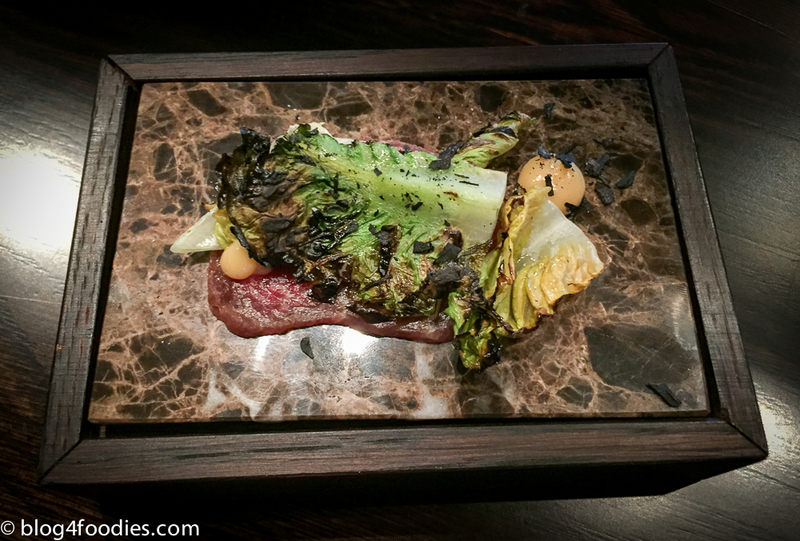 Sirloin steak with roasted savoy cabbage and an emulsion of miso and yuzu. 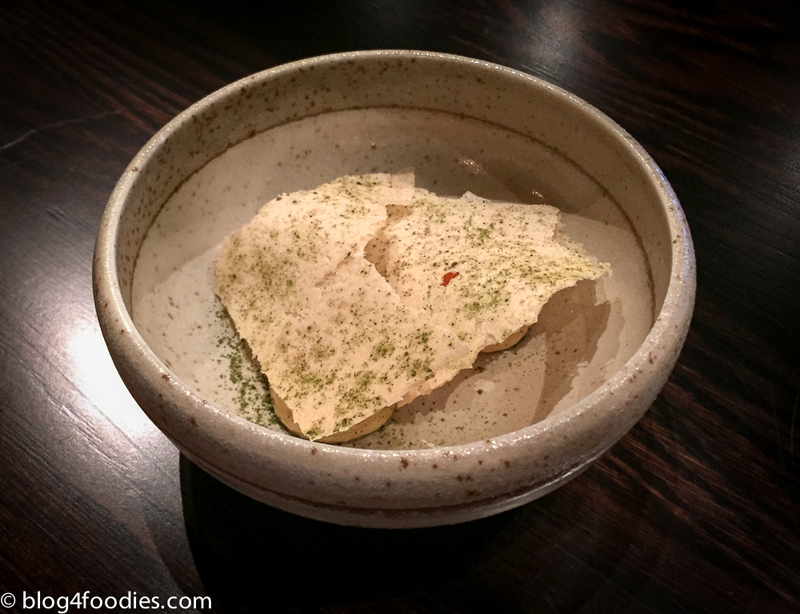 Bladderwrack seaweed crisp bread, almost burned cream and vendace roe (Kalix löjrom). Chawanmushi (“steamed in a tea bowl”) is a kind of egg custard found in Japan. 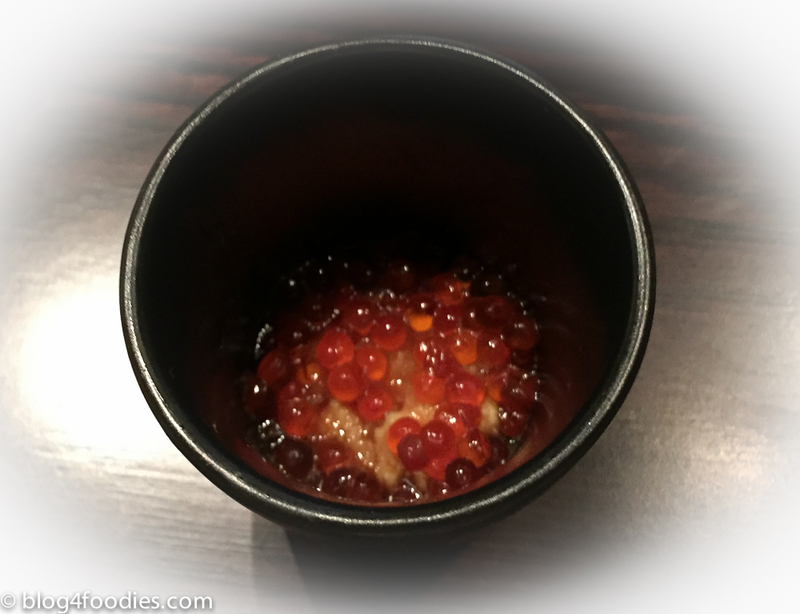 This dish was very salty and smoky and was in a much need of a matching wine (or other beverage), which we also got… I suspect that some may not adore this dish but I like it when certain things stand out a bit, especially in a menu with about 15 servings. 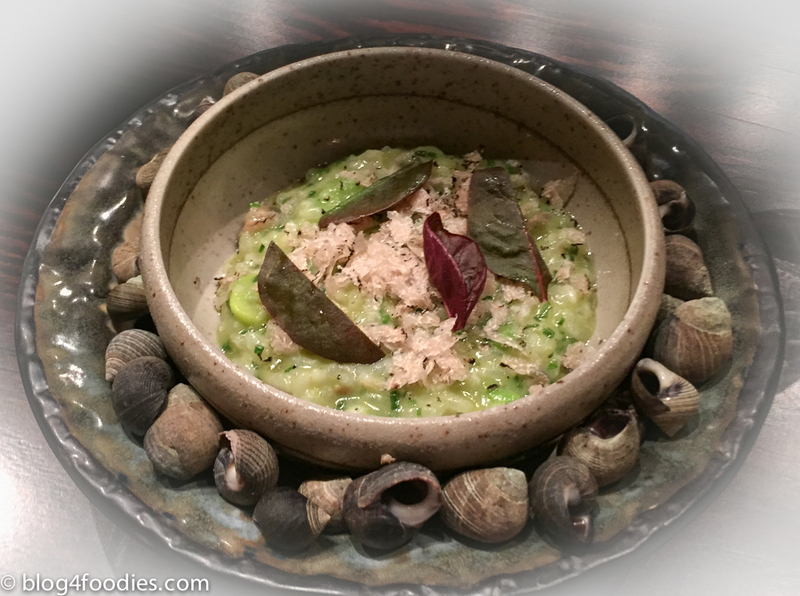 Risotto of Koshihikari (a type of sushi rice) with ramsons (Allium ursinum). Koshihikari was first created in 1956, by combining two different strains of Nourin No.1 and Nourin No.22 at the Fukui Prefectural Agricultural Research Facility. It has become very popular in Japan, in part thanks to its good appearance. 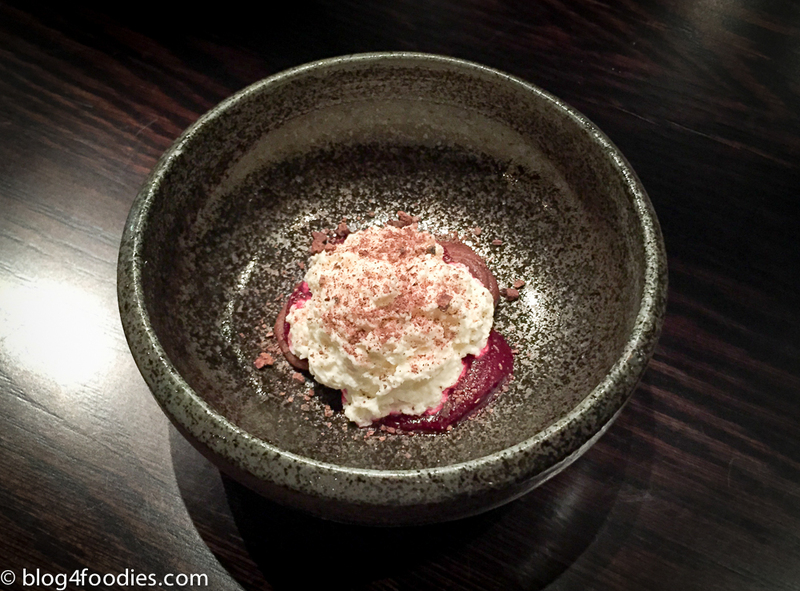 Fried cream and red beets. 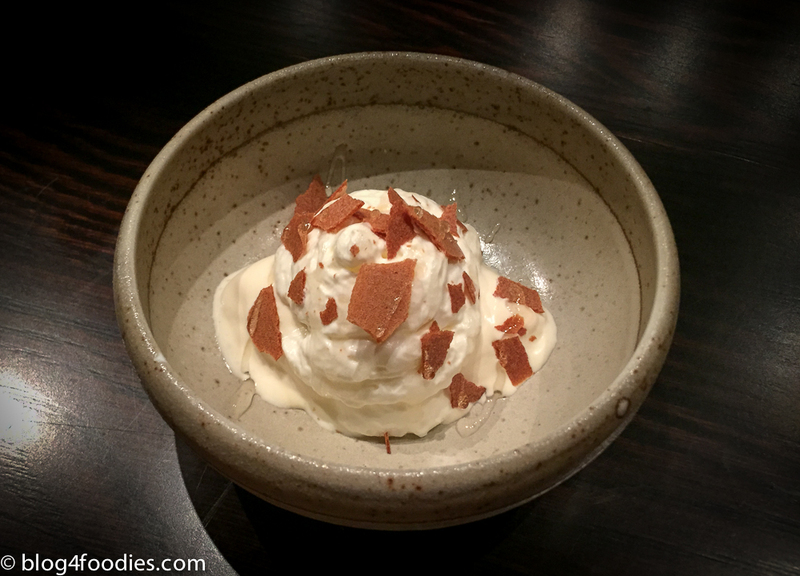 Yeast ice cream, salted yogurt, honey and sour dough flakes. 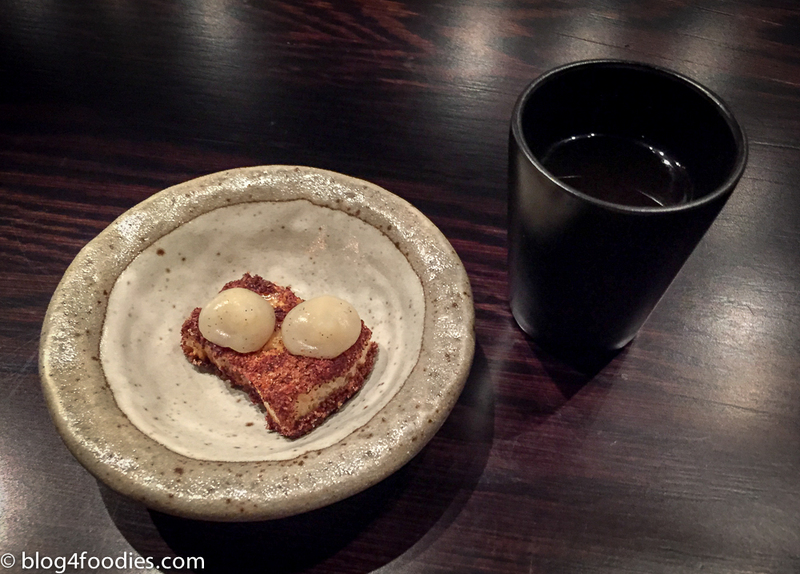 The yeasty part of this dish really supplemented the sweetness present in a really nice way. French toast with cream of artichoke with vanilla and cinnamon together with coffee from Per Nordby Coffee Roastery ended this dinner. Pazo Barrantes – Albariño – 2012? Summary: I really enjoyed Bifångst and you can definitely trace the presence of Hoze in many dishes (which I think is positive). Even though I liked most of the things served, there is still room for further improvements. I consider restaurant Bifångst a much-welcomed alternative on the Gothenburg food scene. Well worth a visit! 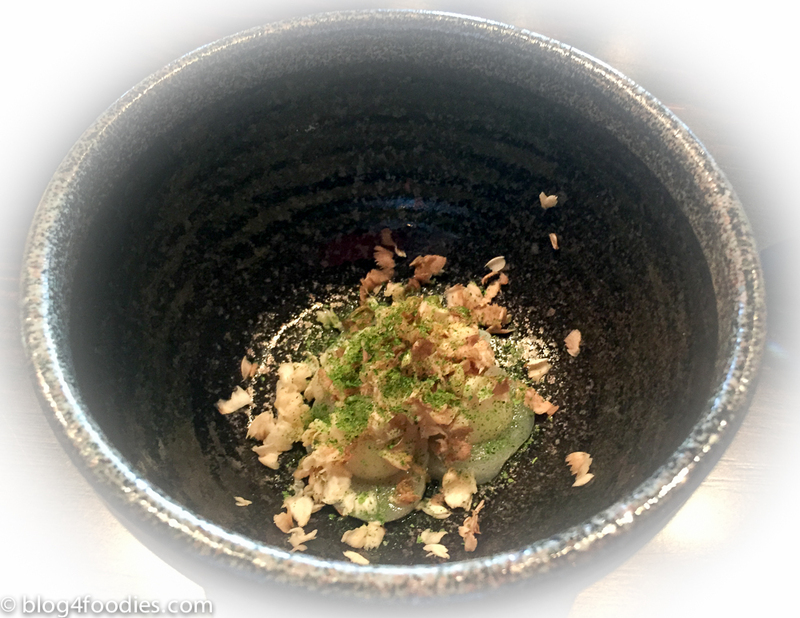 Gallery | This entry was posted in Restaurants, Sweden and tagged Bifångst, Fish, Fiskekrogen, Food, Göteborg, Gothenburg, Hoze, Japan, José Cerdá, Lars Ahlström, New Nordic Cuisine, restaurant, Seafood, Sushi, Sweden. Bookmark the permalink.